Hello everyone, today I’ve put together a Gucci X76009G2s review. 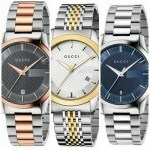 This is a very popular designer watch from Gucci. It’s made of a lightweight ceramic and a features high-visibility display. The Gucci Gc brand was launched back in 1997 by Paul Marciano, the founder of the Guess fashion label. 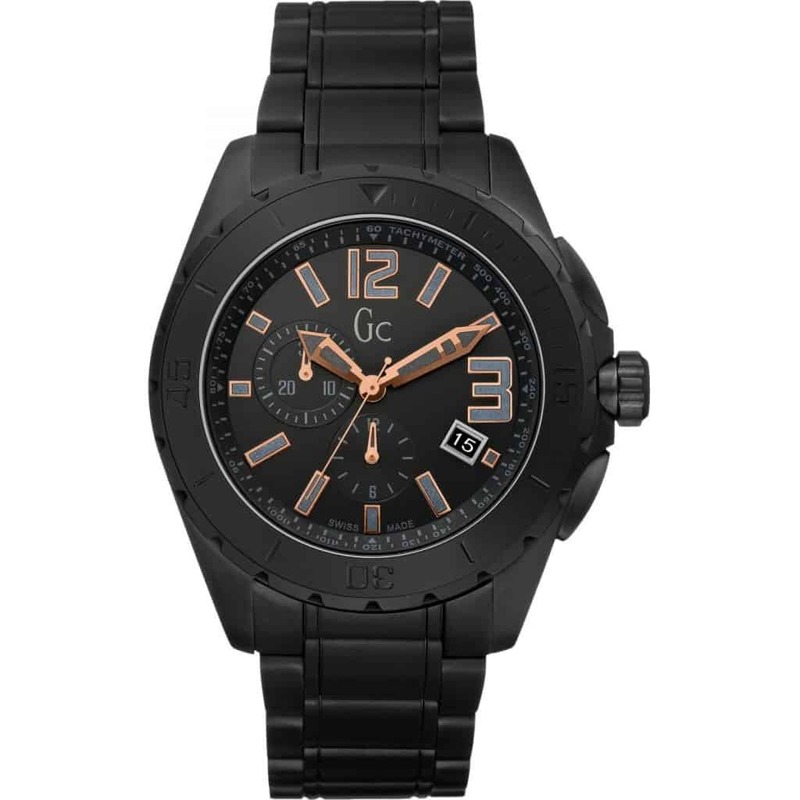 Gc watches features designs for both men and women. 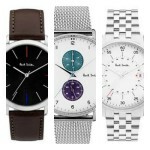 They combine both the latest fashion trends and the watchmaking expertise from Switzerland to produce these stunning mid-priced luxury watches. Anyway, I’ll get on with my Gucci XXL Blackout review below, you can find out the price on Amazon today, enjoy. I was initially very impressed when I saw this Gucci watch, it has a large oversized and bold design to it that’s very popular right now. It’s a ceramic watch so it has a lighter build to it and it’s powered by a Swiss movement so I’m rather pleased with that also. The Gucci XXL Blackout is a mid-priced watch that’s ideal if you’re looking to spend around £500 or so. If you love designer watches that stand out on your wrist then an XXL from Gucci isn’t a bad way to go about it is it now? The dial has a large easy to read display with these beautiful bold hands that feature rose gold detailing to make them stand out against the black background. The hour markers are large and bold with varying sizes to work around the 2 chronograph subdials, as well as the small date function at the 4 o’clock position. You also have the 12 and 3 hour markers as numerals on their own. At the heart of this Gucci watch is a Swiss made quartz movement. 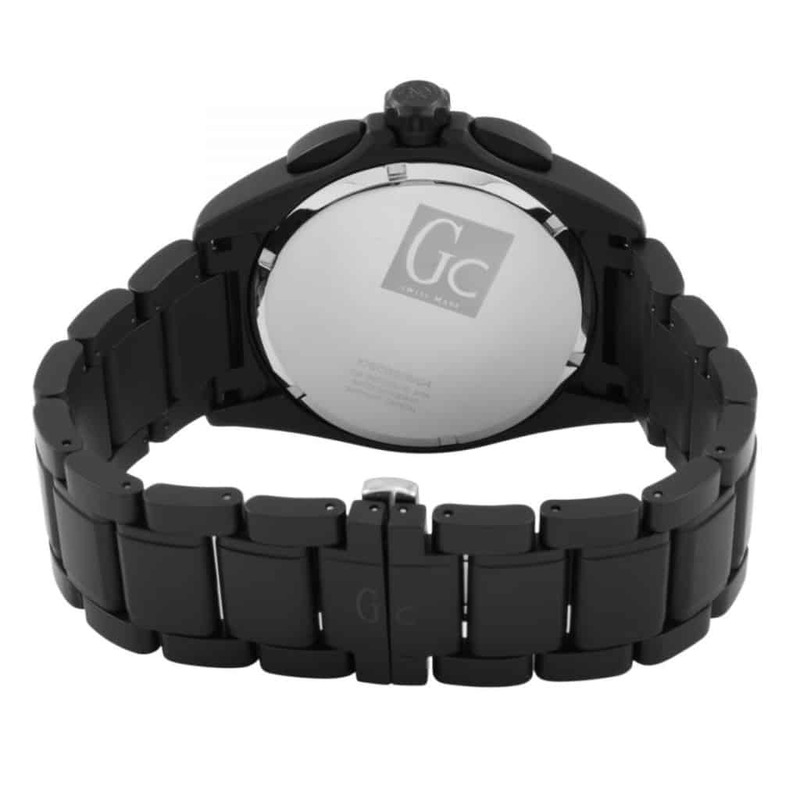 This is a battery powered movement that provides you with excellent accuracy and reliability. Quartz movements don’t require much maintenance either. 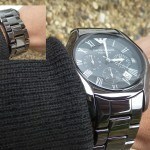 Protecting the front of this timepiece is a sapphire crystal glass lens. At this price I expected to see sapphire glass, I wouldn’t have been pleased if it was anything less. Sapphire glass provides excellent levels of scratch protection. With a Mohs hardness rating of 9, you’d effectively need a diamond to scratch it. Sapphire glass does lack when it comes to shatter resistance though, so avoid dropping this watch (that should go without saying for any timepiece). I mentioned earlier on that this Gucci watch is quite large. It’s built with a 45mm ceramic casing that has a thickness of 12mm. Ceramic is lighter than stainless steel and has grown in popularity over the last 5 years. Again, be careful not to drop a ceramic watch as they can break. There’s a small date display on show at the 4 o’clock position on the dial. It uses white numbering on a black background to match the design of the dial whilst remaining easier to read. As you can see from the picture below, this Gucci Gc Sports Class watch makes use of a quality hidden deployment push-button release clasp. This happens to be one of my favourite clasp styles. The strap itself is made of ceramic also, this has a width of 22mm which is in keeping with the size of the casing. Thanks for taking the time to read through today’s Gucci watch review. Whilst I do love the design and overall look of this watch, I often struggle to see designer watches as offering brilliant value for money. Most people who go for designer brands inevitably end up paying towards the brand name. That being said, This men’s Gucci watches does still feature some high-quality components. You have a Swiss quartz chronograph movement, sapphire crystal glass, a ceramic casing, and a 100m water resistance rating. I Hope you found this Gucci watch review useful and enjoyable, comment below and let me know what you think of it.